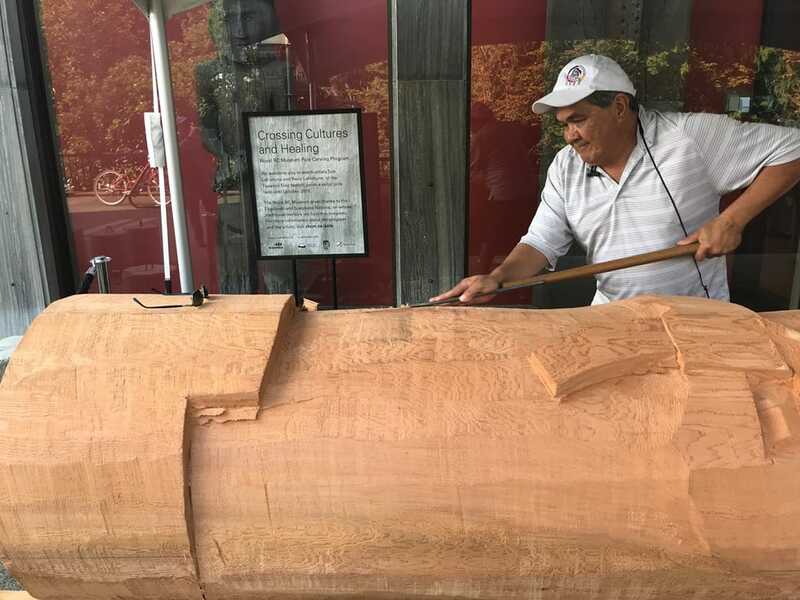 During the summer of 2018, the Royal BC Museum hosted a First Nations cultural tradition in action: an on-site pole carving, in partnership with the BC Ministry of Health and sponsored by TimberWest. 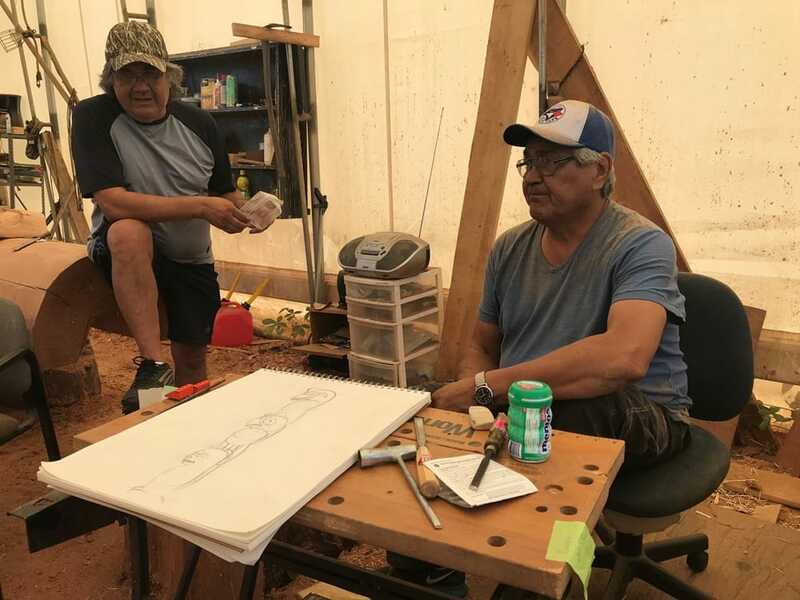 Artists Tom and Perry LaFortune, brothers and members of the Tsawout First Nation, worked on a massive pole outdoors, stopping frequently to discuss their artwork with visitors. 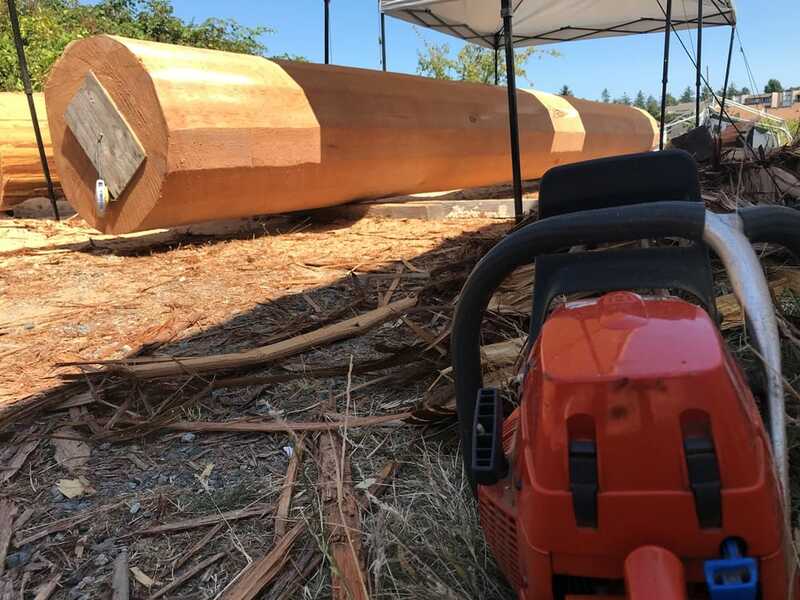 The pole was completed on Friday, October 5 and taken off-site. 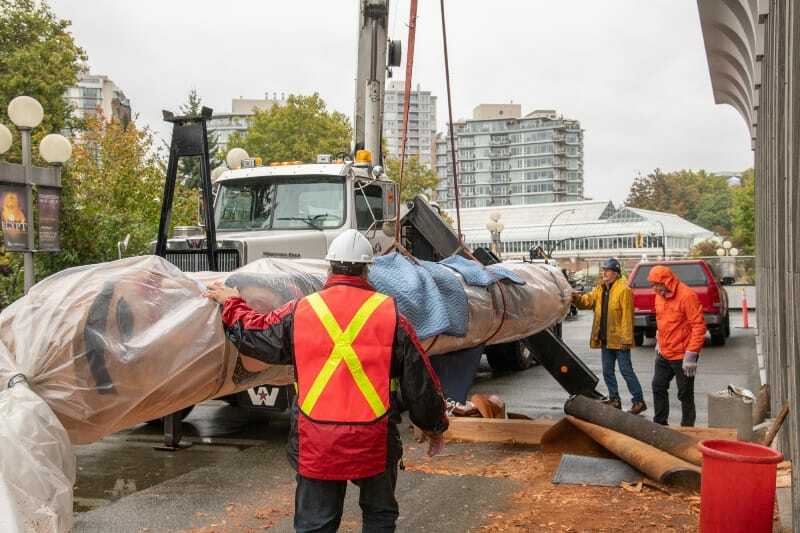 It will be moved to its permanent location at the Ministry of Health building, on Blanshard St., Victoria, in November. Together with the LaFortune brothers, the Ministry of Health selected the pole’s theme, “Crossing Cultures and Healing”. 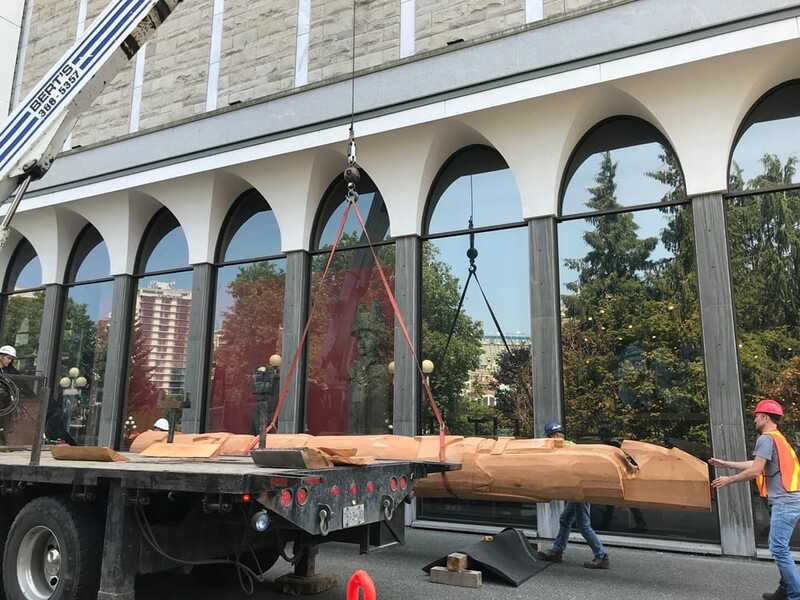 The Ministry will raise the pole at its Victoria headquarters as a reflection and reminder of the Ministry’s belief in supporting reconciliation. 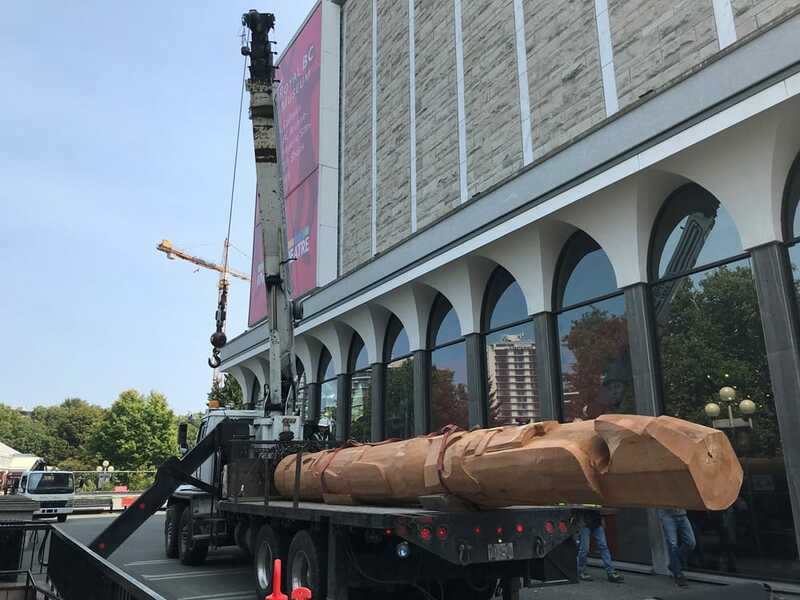 The roughly seven metre (25 feet) pole was donated by TimberWest and selected by the LaFortune brothers, who were nominated as the program master carvers during early consultations with the Esquimalt and Songhees Nations, on whose traditional territory the museum sits. Stay tuned for more details about the pole raising event! 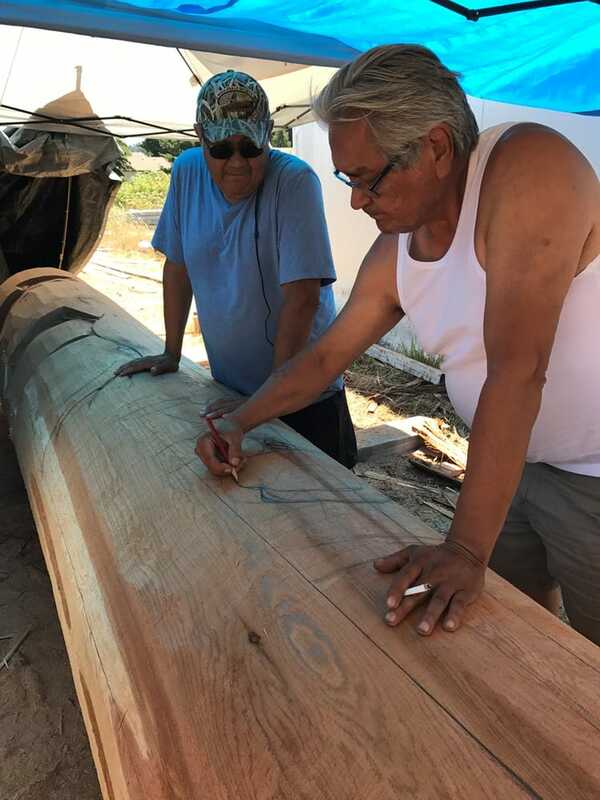 [KAtēkwhaǂhet] Tom is a member of the Tsawout First Nation who has connections to several families whose ancestral lands are in the southern part of what is now known as Vancouver Island. 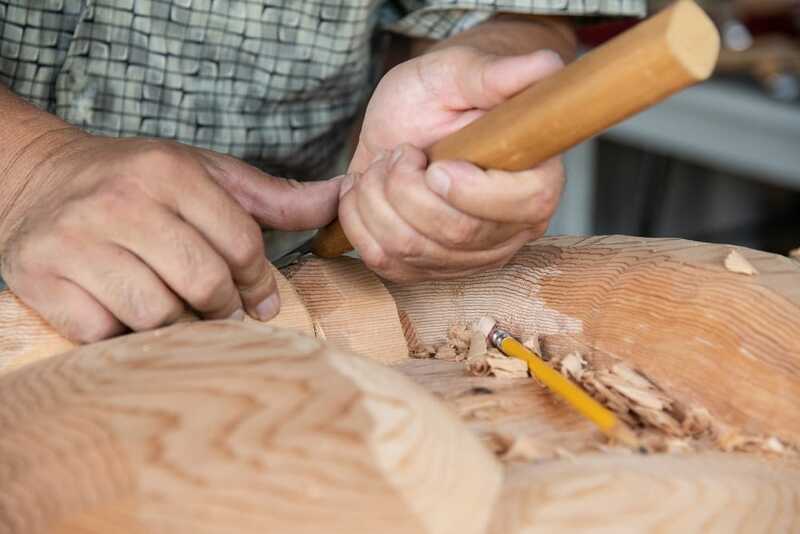 He finished his first carving when he was just 11 years old. In the years that followed, Tom has carved masks, rattles, paddles, dishes, talking sticks, single figures and countless poles. He has also made and painted drums. Today his work is distinguished by its fluidity and refined use of colour. Tom’s work can be found in collections all over the world. 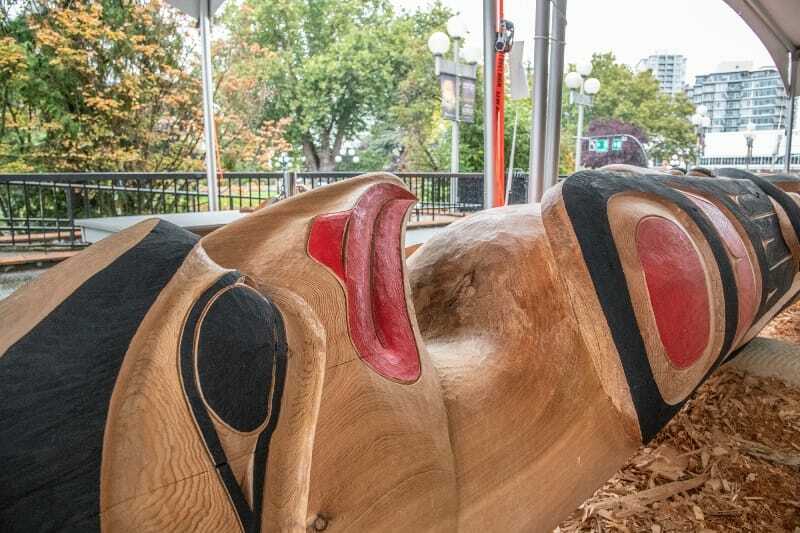 Some of his most notable works include the Harvest Time and Owl Spirit poles completed for Duncan’s City of Totems project, the totem pole commissioned by CBC and featured on television coverage of the 1994 Commonwealth Games, a single owl figure overlooking the Ross Fountain at the world-famous Butchart Gardens in Victoria, S’ael, a twenty-five foot pole completed as part of Royal Roads University’s 75 years of changing lives celebrations, and a Salish art for the Fort Rodd Hill National Historic Site he has recently completed. All have special meaning. 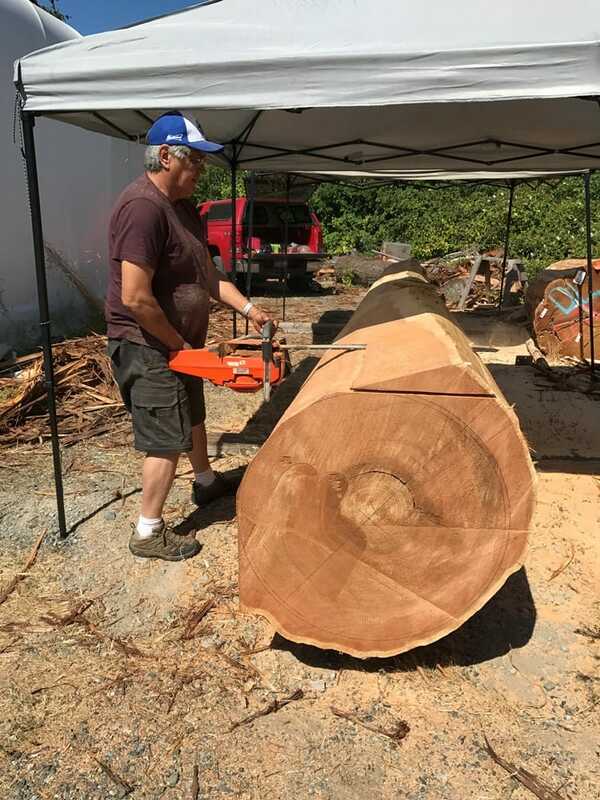 Tom lives with his partner Doreen in the Victoria area, close to his two sons and daughter and a large extended family. Perry LaFortune has received most of his training from his brother, Francis Horne, and has been influenced by his Elders. 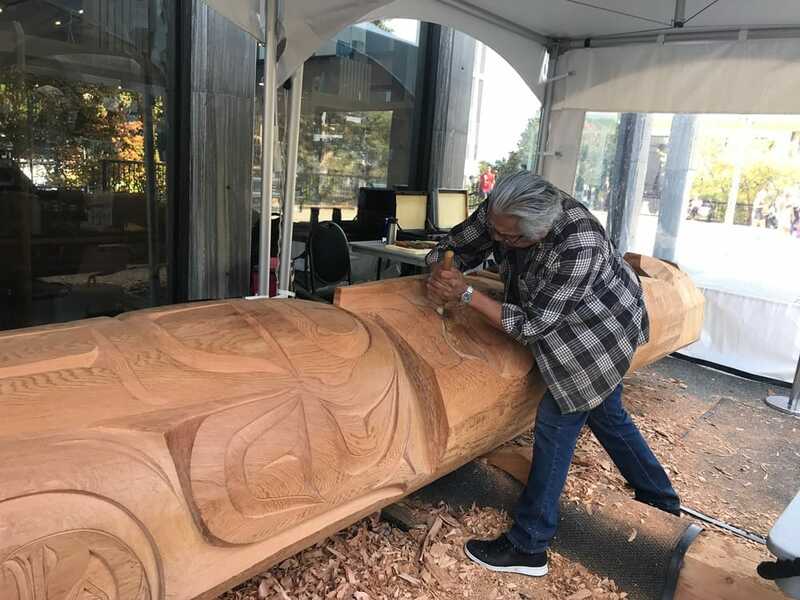 He has been carving since 1976, and has apprenticed under Francis Horne on several major projects, including assisting in carving four poles for the City of Totems in Duncan. 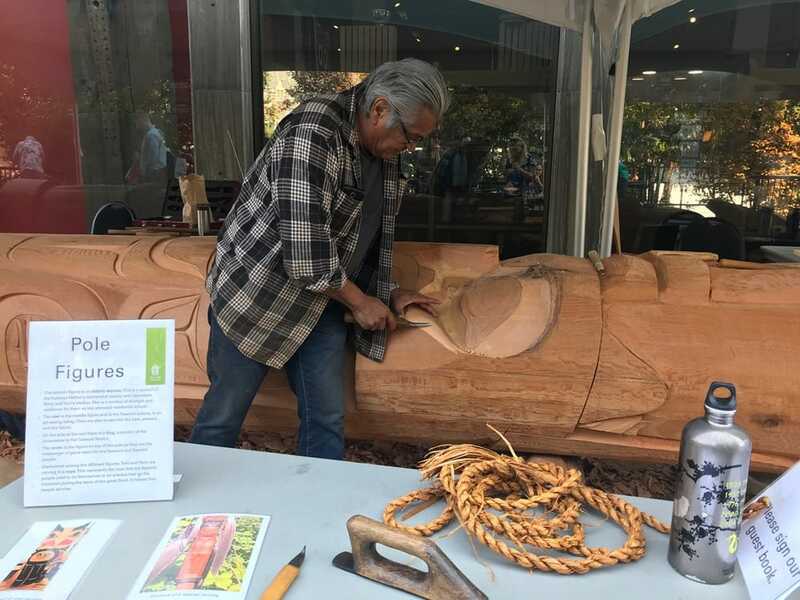 Perry also had the privilege of working with the late Coast Salish master carver, Simon Charlie. 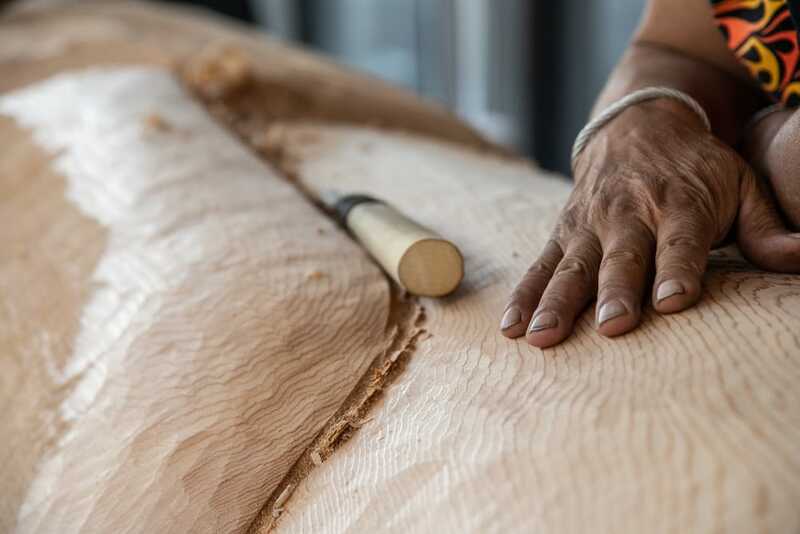 In 1988, Perry was invited to go to Singapore to demonstrate carving with Francis Horne, celebrating the inaugural flight of Singapore Airlines to Vancouver. 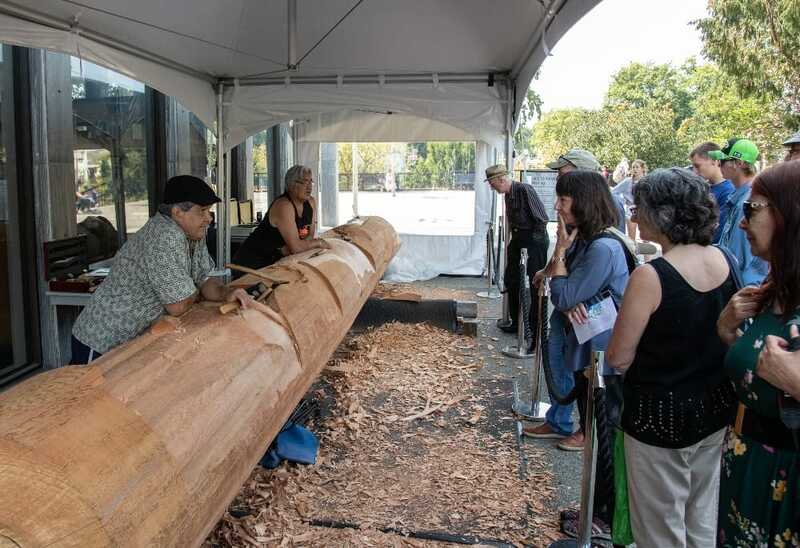 In 2007, Perry acted as Head Carver for the Tsawout Community Canoe Carving Project on Vancouver Island. 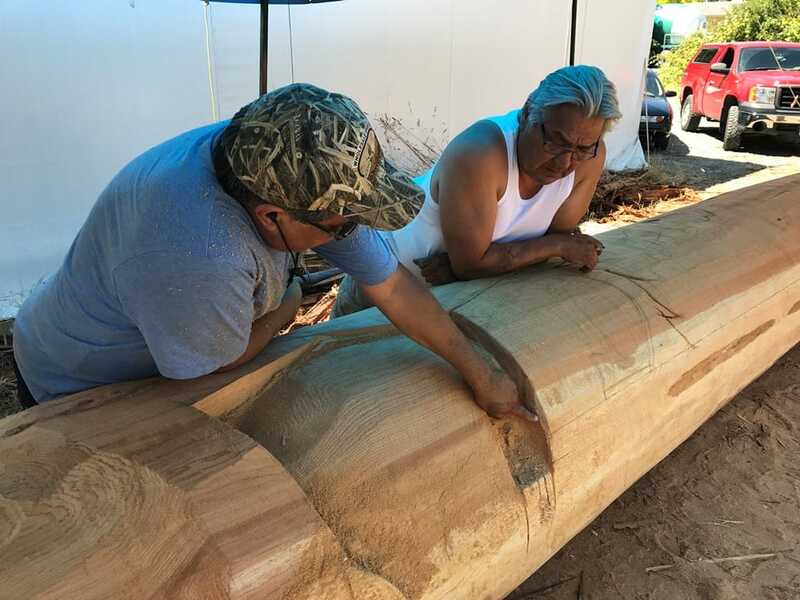 This project was supported by the Tsawout Nation and the Government of BC, and was designed to encourage the local community to contribute in the carving and creation of a traditional Salish canoe. 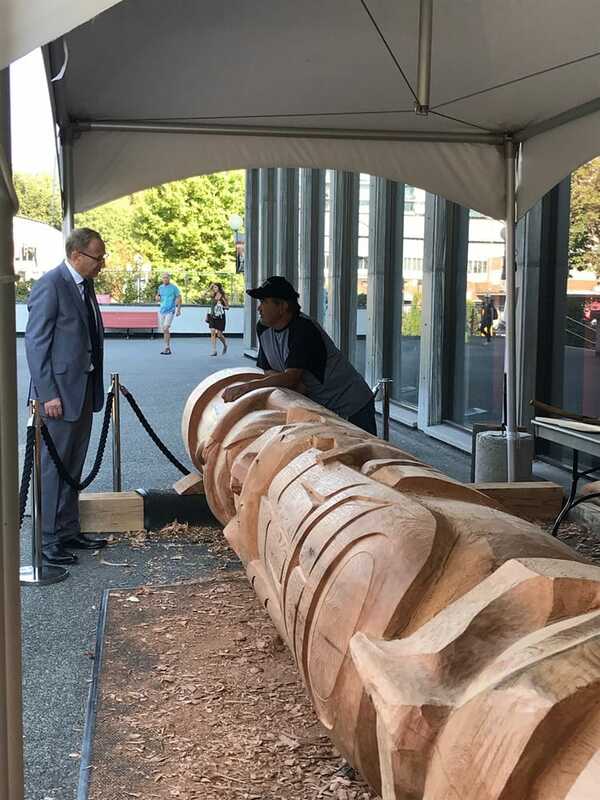 In 2008, Perry carved a talking stick that was presented to former USA President, Bill Clinton, at the CISION Corporate Responsibility Conference that was held in Vancouver. 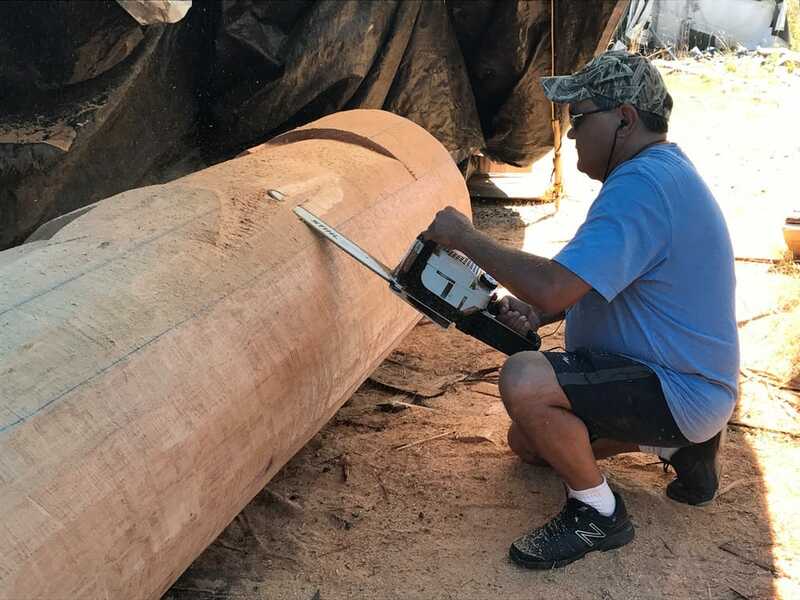 Perry works in a contemporary Coast Salish style, and many of his pieces strive to emphasize the natural properties of the wood that he uses. 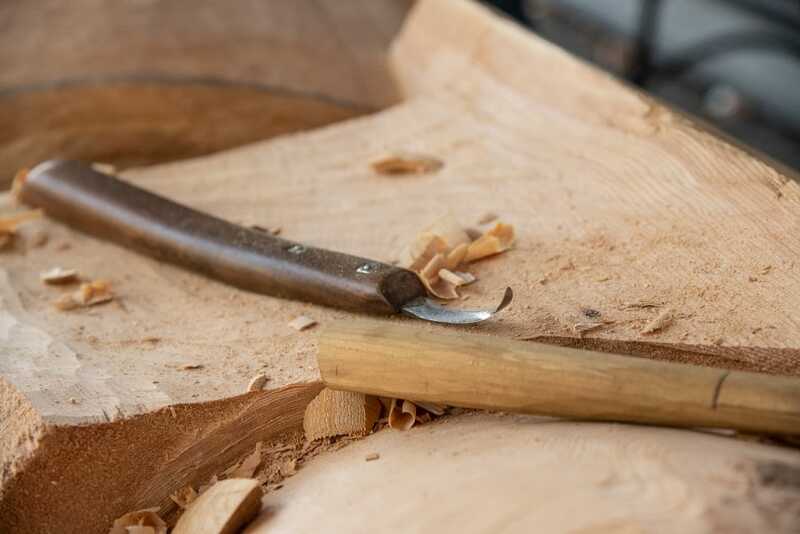 Repeat visitors will have noticed Tom and Perry’s hand tools revealing some distinct shapes out of the cedar pole. There are four main figures, motifs imbued with significant personal and cultural meaning to the carvers. The bottom figure, anchoring the pole, is an elderly woman. This represents the Tsawout Nation's matriarchal society and, more specifically, Perry and Tom's mother. 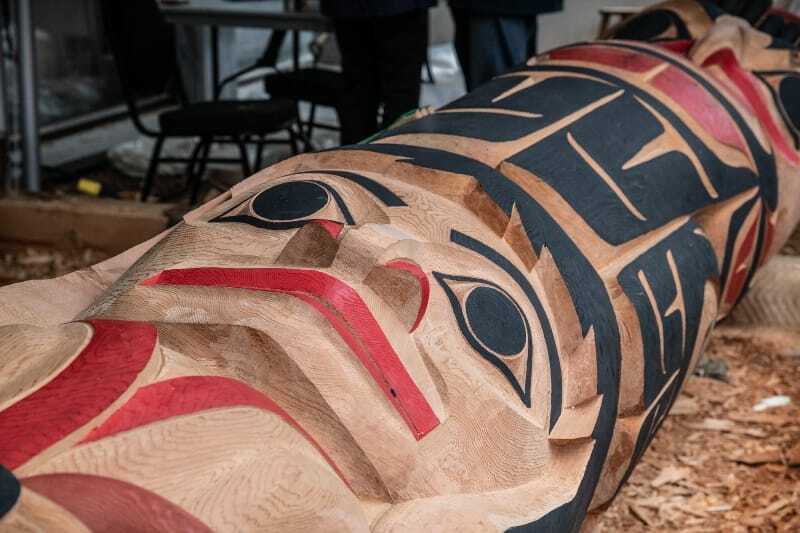 She is a symbol of strength and resilience for them, as she attended residential school. The middle figure is an owl, which in the Tsawout culture is an all-seeing being. They are able to see into the past, present and future. On the side of the owl is a frog, a symbol of the conscience to the Tsawout Nation. 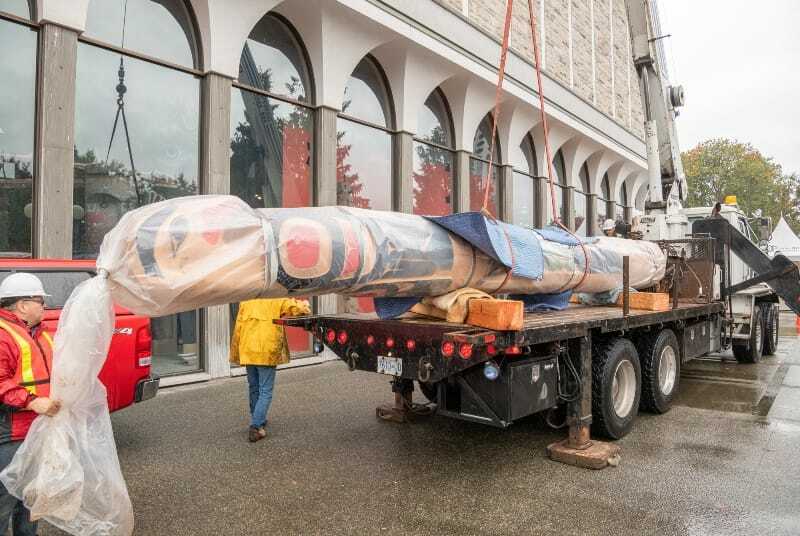 The figure on top of the pole is a raven—the messenger of good news for the Tsawout and Saanich people. Intertwined among the different figures, Tom and Perry are carving a rope. 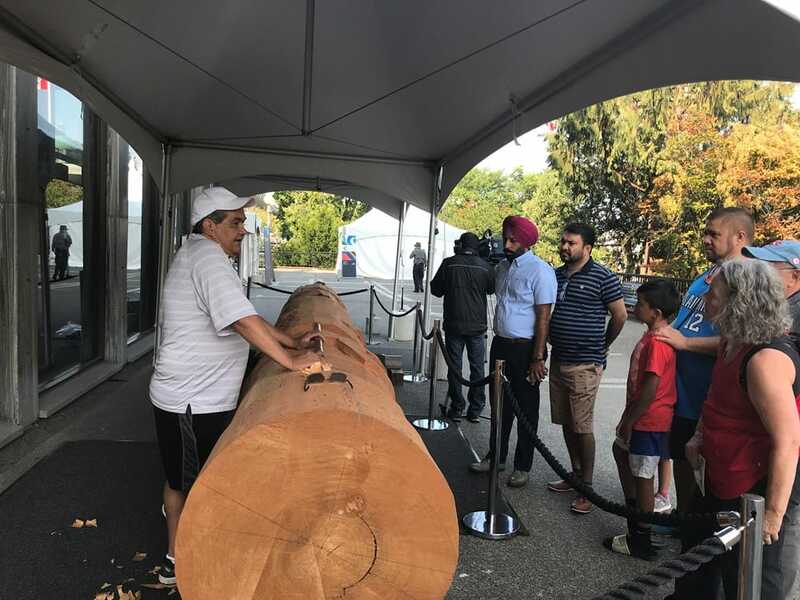 This represents the rope the Saanich people used to tie themselves to an arbutus tree on the mountain during the story of the great flood, helping their people survive. 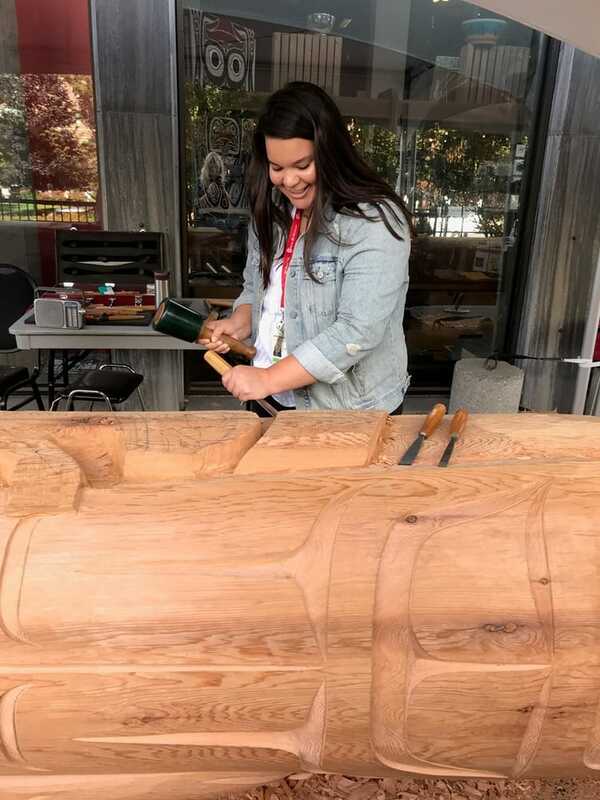 Compiled by our Educator, Hannah Morales (pictured above in ‘the pole takes shape’ images), we have a new learning resource found on our Learning Portal web page for teachers and learners to access focusing on the carving program. 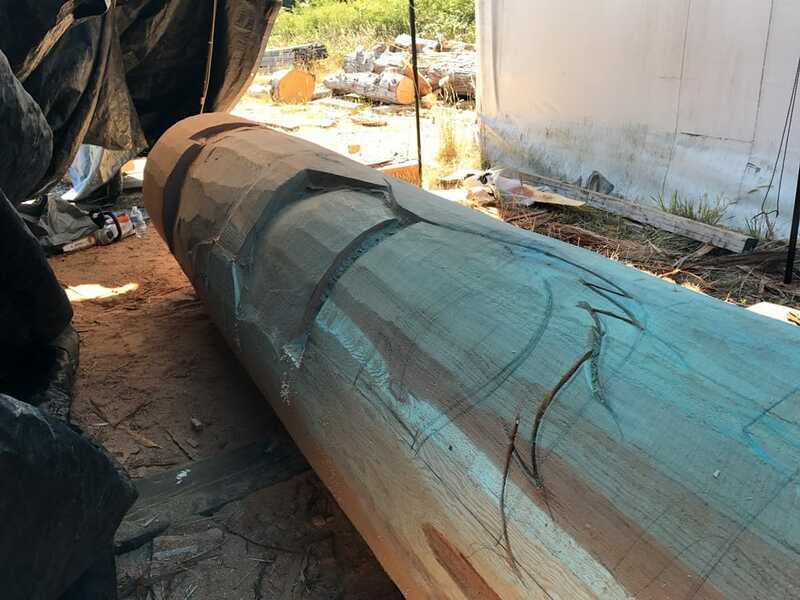 Hannah had the opportunity to visit Perry and Tom LaFortune in the early stages of the project when the pole was being prepped and shaped. Find out more about the project with additional images and information about the process and the figures found on the pole. 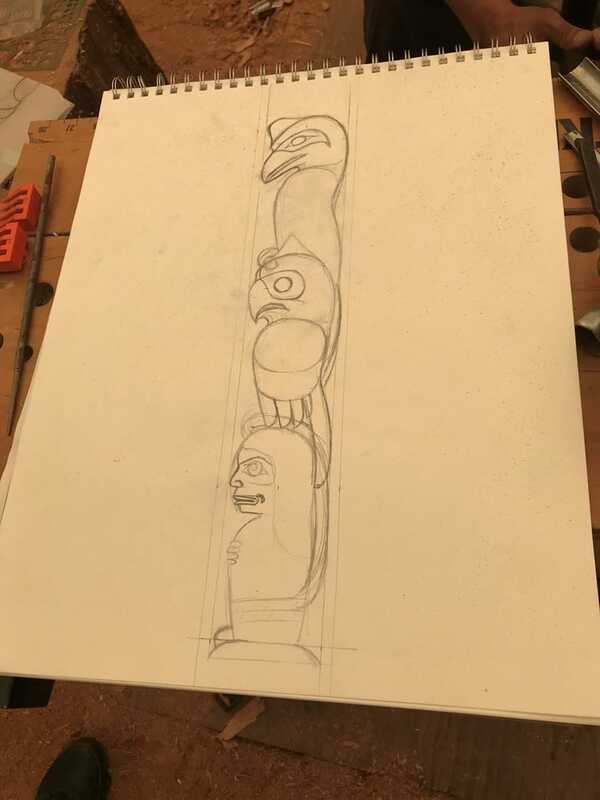 Visit the Crossing Cultures and Healing: A Totem Pole Project page.